Have you been enjoying your September?? Has the weather cooled any in your area?? I think it s pretty amazing that September is National Sewing Month. Did you know there is a whole website about it?? You can find it HERE. The observance of National Sewing Month began in 1982 with a proclamation from President Ronald Reagan declaring September as National Sewing Month “In recognition of the importance of home sewing to our Nation.” YAY!! So this month I've been celebrating with you by having a little giveaway every Friday. And today is the LAST day of September. So what am I giving away today?? I've been having so much fun using my Shape Cut slotted ruler that I've cut up 40 5" charms for you. And for you to use the 5" charms, I'm including a Granny's Flower Patch Charm Template and a Pyramid Charm Template, some matching thread, 3/4 yard of coordinating fabric, quilters pins and a very cute little tin to put them in. I'm going to leave the giveaways open until Sunday October 2nd, and will announce the winners on Monday. Please be sure that I have a way to contact you. And thanks SO much for celebrating with me. It's been a fun month!!! There is one special lady who is celebrating a birthday today!! Stop by Blushing Rose and wish Marydon a Happy Birthday. Marydon is such a sweet gal and is always thinking of others. Let's help make this day extra special for her. A couple in Malawi, in southeastern Africa, work diligently to educate, clothe, and house the many orphan children there. LilyPad Quilting is challenging us to De-Stash to help the Kropf's clothe over 900 orphans. Let's lend a hand across the world. Tilda, do you know her?? Tilda is a feminine world. Sweet dolls and whimsical animals. You can take a peek at Tilda's world HERE. Now do you know why I asked if you know Tilda? It's because I'm giving her away. Well, what I meant to say is I'm giving away a copy of Sew Sunny Homestyle. A craft book with Tilda and all of her dresses and friends. Let's take a little peek at what's inside. This is the Lavender Angel. So what could be even better is if I add a little bit of lovely Lavender fabric to get you started? I'm celebrating September's National Sewing Month with a Giveaway every Friday. You can find the other giveaway posts HERE and HERE. The winners will all be drawn on October 1st. So leave a comment on this post and be sure I have a way to contact you. Oh, and if you are a follower (love my followers) you can leave an another comment for a second entry. If you like, you can tell me where you are from. It's always fun to know where my visitors come from. If you are getting tired of my travel ramblings, you can close this post now. Because you see, when we were traveling, we decided that we would head back home by a different route. And being that we would be traveling east before heading too far south, we decided to head to Hogansville. You remember Hogansville, the town that had one quilt shop that was only open two days a week?? We made it there on a Tuesday, which is one of the days they were open! Yay! I really liked this quilt. At first I thought it was the Yellow Brick Road, but the owner said it was a Disappearing 9 patch. And YES, I found some very pretty fabric to bring home. I loved the soft pink roses. While I was shopping I told the owner that I had been by a month ago, but she was closed. She told me that she was trying to sell the building, and after a deal fell through, she just could not handle being in the shop 6 days a week. So she is only open on Tuesdays and Thursday for extended hours. This was a pretty long trip for me. But I am glad that I went along with my hubby. It was fun exploring new territories together. So we travel to the middle of the Prairie, where there is nothing.......... I mean NOTHING --- and what do we find? Two, not one, but TWO quilt shops just a few hundred feet from one another!! Is that incredible or what?? And what a cute shop it was too. Don't you love a shop with personality?? I even found a Charm Pack of the elusive Glace that I had searched for last year. But that's not all. On our return trip, we found one more place that I had been wanting to check out. So if you aren't tired of my travels, I will take you to yet another place next time. Before you go, can I ask you to help a friend of mine?? John'aLee from The Scrappy Appleyard has just experienced a loss in her family. Please read her post if you can help by making a block for the grieving family. Have you ever searched for a needle in a haystack?? Well if you are in Kansas, anywhere near Severy, you will find a Needle in a Haystack Quilt shop! A very quaint shop with LOTS of fabric. And did I mention it was out in the middle of nowhere?? I did have to buy a couple of pieces of fabric. After all it's a long way to go to come back empty handed. 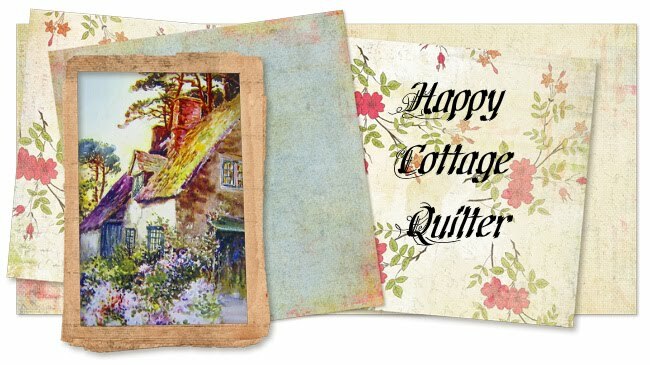 And there is another quilt shop for another day ;-) Happy Quilting! Do you enjoy traveling?? What is your favorite way to get from point A to point B? My hubby had a conference in a far away state, and asked me if I'd like to come along. We decided that we would drive. And boy, what a drive it was. We traveled from Florida all the way to Kansas!! From the time we left home, til we came back we went through 9 states! Wow, I've never seen such a diverse array of country side while traveling from a tropical state to the prairie. It was my first visit to the Midwest, and I have to say it was beautiful. The sky was so breathtaking. I could not keep from taking pictures of the clouds and firey sunsets. This was the view from our room on the first morning we were there. It was just so gorgeous. And this was my little set up for the week. I was pretty much room bound for 4 days. I caught up on a lot of reading and worked on a couple of little projects. To my amazement there were two quilt shops just yards from each other out there in the middle of nowhere. So next time I'll take you along and visit the Needle in a Haystack and Itchin to Stitch Quilt shops. It's Friday! So you know what that means?? Part 2 of the National Sewing Month Giveaway. Today I thought I would offer something for the knitters out there. Last year I tried to start knitting, but never got past scarves. The Sugar n Cream yarn makes great washcloths. And I understand the Rosewood knitting needles are great to work with. So if you would enjoy working with this yarn and needles, leave a comment on this blog post. What kinds of things do you Crochet or knit?? Please be sure that I have a way to contact you via email. This giveaway will run through the end of the month, along with my other Friday Giveaways. Remember followers can leave a second comment for an additional entry. We all remember Dorothy wishing to be back home in Kansas. Well I couldn't agree with her more. I've been traveling with my sweet hubby for the last week, and we have just returned home. And she is right, there IS no place like home ;-) And yes I do want to share with you about my trip through 9 states. But first things first. When we got home, one of the first things I did was go through the mountain of mail. And woo-hoo, there were two cushy packages waiting for me. Last month SewCalGal hosted a very fun Pets on Quilts show. Darlene encouraged me to enter my goldfish that swim around in our pond. And would you believe that my little goldies won the Other pet on quilt theme category?? My prize for winning was this beautiful fat quarter bundle of Sapphire by Skipping Stones Studio. This prize was sponsored by Wonderous Woven Fabrics. Thank you Cathy for offering such a generous and beautiful prize. There was another squishy package, but this one was from Leona's Quilting Adventure. I happened to click on her blog one day when she offered this fun package of fabric to the first person commenting on her blog. Wow, these fabric goodies should help keep me busy. Be sure to check back with me tomorrow for the next Giveaway! If you missed the first Giveaway post, check it out HERE. Isn't it sad that so many of the crafts that were once made by hand, are being lost to this generation. When I traveled to Europe a year ago with my sweet hubby, we visited a shop that still had hand made lace. She told us that it takes eight years to learn how to make fine lace. I hope you are having a Happy Quilting week! Because this is National Sewing Month, and because I love my followers, I thought I would host a giveaway every Friday in September. When I realized that I had over 800 followers I really wanted to do a little giveaway for all of you sweet peeps that keep coming back. So for today, my first NSM giveaway, this is what I'm giving away. I am including 1 1/2 yards of this floral fabric with the pattern to get you started. Leave a comment on THIS post :-) Yep that's it. No hoops or games. AND followers can leave a second comment for an additional entry. YAY! Next Friday I will have another giveaway, so come back and see what it will be :-) I will draw ALL the winners October 1st. If you missed part one of Scrappy Cards, please just look back at yesterday's post. I have pressed my shapes onto the pieced fabric and cut them out, I then audition which color card stock I will use. You can use a premade blank card, available at craft stores and Walmart, or you can use regular card stock. I happen to have pre cut cardstock which I bought at Hollo's Stationery store in Ohio. It is really fun to move the shapes around and see what they look like with different colored background. Again, following HeatnBond instructions, remove the paper piece on the back of your fabric shape. Position your shape onto the the cardstock. Be sure to cover your fabric shape with a pressing cloth. Here I am using a synthetic type cloth that is used for applique. Press with a dry iron according to the HeatnBond instructions. Now for a finishing touch, I take my Perma Pen and draw little dash marks to resemble stitching. Your fabric card is now ready! And a sampling of the Christmas cards I sent last year. I made over 40 cards. I hope this has been as much fun for you as it has been for me. I'd love for you to share any comments you may have.